Home Why Your Business Can’t Ignore Making Tax Digital? 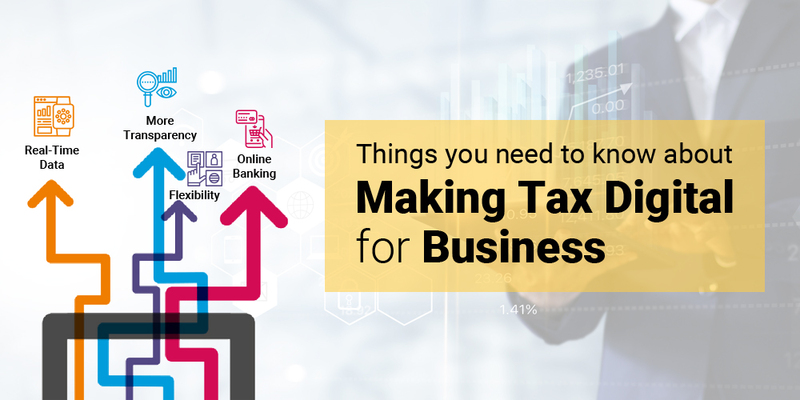 Why Your Business Can’t Ignore Making Tax Digital? Mainly MTD is a core of HMRC plan which works with commercial software and has become one of the most digitally radical tax administrations in the world. It gives a direct link using application programming interface. Paper accounting and tax return will become entirely outdated as the legislation will come into force. It is expected that by 2020, Making Tax Digital will become mandatory for anyone who files returns which will be covering the income tax too. We have seen that Making Tax Digital for business is an excellent reason to bring significant changes in the market by delivering the right approach for the future. With Making Tax Digital solutions for business, it would ensure that they’ll have plenty of time to adapt to the changes. Several companies take the initiative to improve the efficiency of the tax system by reducing its complexity. According to the government, it has transformed the tax system by 2020 by introducing digital recordkeeping and quarterly updating the business with ease. It remains committed to the modern and digital tax system for all the companies with delivering the support and right tax with reducing the amount of the avoidable error. There an HMRC which brings the estimated change in the implementation plans to get benefits and get certified. The timeline and goals of the scheme have changed several times based on the series of the frequently asked questions with an aim to remove the ambiguity for both businesses and accountancy practices. There are several advantages of getting ahead can change the process along with grips with new software. So the Making Tax Digital solutions can serve you best with avoiding last minute headaches and making plenty of plans for future. Some of the benefits are listed below. Get quicker and simple proposal of your data to HMRC with adding online payment of any tax owned. Until April 2019 businesses will not be mandated to use the MTD system, and after this duration, they can meet their VAT obligations. There are lots of businesses who have a turnover above their making tax digital for VAT threshold and set up a digital tax account to file quarterly returns online. Small companies do not require using the system but can do voluntarily. So to get more efficiency in industry and to improve the profitability, Making Tax Digital for vat makes the transition as painless as possible with using the MTD compliant software. Several companies are keeping a record in their spreadsheet to make the changes like the ability to login with HMRC’s website with the highest turnover of £85,000. Some taxpayers do not need to give the HMRC information from elsewhere. They can see the information that HMRC holds through their digital tax accounts. So one need to check the details are correct and complete. All taxpayers by 2020n will be able to see their complete financial picture to allow tracking their online bank account. Additionally, they’ll be able to set an over-payment an over-payment on one tax and under-payment on another which will make you feel like they are paying for a single tax. The business owners nowadays do not need to wait until the end of the year to find out the tax they need to pay. With just using the digitalised system HMRC will collect and process the tax data into real-time to help to prevent error. The online tax account can be accessed anytime where business owners will be able to see the data on HMRC so one needn’t resubmit and waste time in it. Make sure the detail entered is correct and up-to-date. There are business owners who can access more tailored services. By 2020, all will be using their account details with viewing the liability and entitlement as a single financial account. How can SAP B1 help with Making Tax Digital? MTD for business keeps the digital records and accounting link digitally. If you’re an existing SAP B1 user, then all you need to do is to upgrade the solution with ensuring your business stay. And if you haven’t used SAP B1, then it’s the best time to implement the solution if you act now. SAP is continuously preparing for MTD to issue a patch which will contain a solution with relevant MTD compliance and readiness. This patch is expected to release in 2019 for 9.3 versions only. If you have any questions regarding Making Tax Digital with SAP B1 in general, then contact our SAP B1 team today. Several issues are going on in various businesses that are facing VAT registered problem so consider that you are given a recording with all transaction on a digital basis. Once you financialised the section to draft the maxing tax digital for VAT, the notice will be given with mandatory requirements. Remember to prepare well in Making Tax Digital for business as April 2019 is not that far. For more information please contact us and get a piece of free advice to SMEs in various locations across the UK.